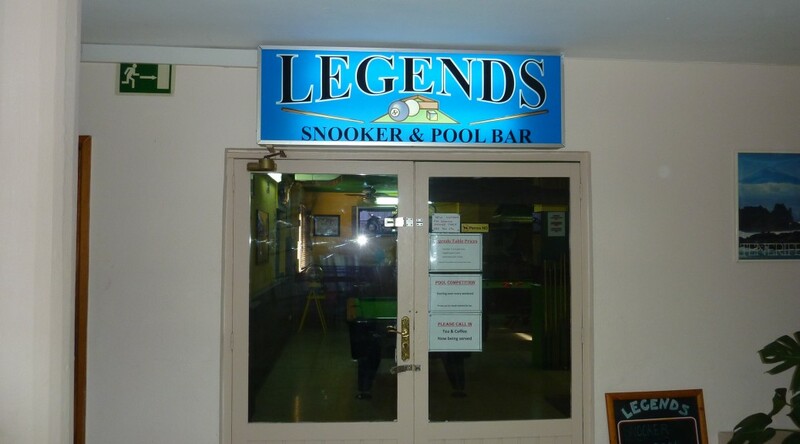 Legends Snooker & Pool Bar has a full size snooker table as well as two pool tables and is located in the Costamar Complex opposite Paloma Beach just along from the Arona Gran Hotel, next to Icelands in Los Cristanos. Showing live sports each weekend, this is a great family friendly bar. Friday night is Karaoke night and there is a Fun Quiz & Bingo every Saturday Night. Drinks are competitively priced with a pint of local beer priced at 1.50 euros….definitely worth a visit! You can follow Legends Snooker & Pool Bar on Twitter, become a fan of theirs on Facebook and check out their photos on Flickr & Videos on Youtube.